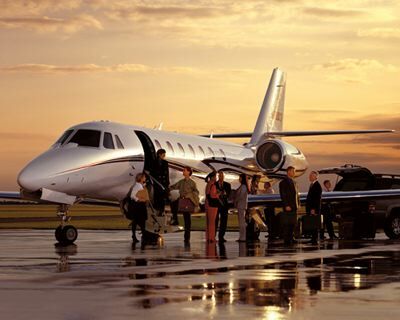 FareHawker specialize in arranging charters of private aircraft for large groups. A private charter is a time-saving and cost-effective solution for business travel, company incentive trips, movie productions, sports events, product launches and for many more kind of requirements..
FareHawker team has arranged aircraft for sports teams, fans plus transport for personnel logistics and music tours, including full orchestras and their instruments. As we are Ultimate in conference and incentive travel arrangement, time by time we source many of passenger airliners of all sizes for private group air charter. If there is a need to transport large numbers of passengers (more than 10 people), if you want to organize a trip to work with the regional representative for conferences, exhibitions, business seminars, concerts, recreation, wedding party, sports teams take to the competition, it may happen that the required number of tickets for your next flight out of stock or that it is likely scheduled flights just do not fly in your desired city. In all these cases, you can refer to "FareHawker Group Charter Services"
For such cases the company "FareHawker" provides all range of aircraft for the organization of corporate charters. Order of corporate charter guarantees you a roomy aircraft, independence of the schedule of regular flights, the high level of service. In contact with the Ultimate Travel Jockeys of our company, you determine the best option airfare, based on your goals, requirements and capabilities of modern aircraft. The most important thing in the group charter flight - is that you can choose the main parameters of flight. Only you and no one else, will decide who will fly on this plane. If your employees or clients or guest need to rest - no one can stop them. If you assume that the way your employees will continue to work - no one will distract them from their duties. However, they will not be cut off from what is happening in the world: the modern means of communication that are installed on aircraft, will enable them to constantly keep in touch with his superiors and colleagues. Only you will determine how many people will fly in charter flight, which means that the plane will not be cramped and crowded passengers. It is the most convenient way of trip when you need to transport an organized group of passengers. We also provide air charter and helicopter services in unplanned circumstances, such as emergency evacuation and repatriation flights. FareHawker charter professional’s team make the process of chartering a flight as easy as possible: Account Managers available 24/7, dedicated to finding the ideal air charter solution for your group.